Meal prep is all the rage. And it's no surprise: prepping your meals in advance is a powerful way to stick to your plan and control of your health and nutrition: you always know what you're eating and when. But it doesn't have to be repetetive or boring, and it sure doesn't have to break the bank. You'll find inspiration all over social media (#mealprepmondays, anyone?) 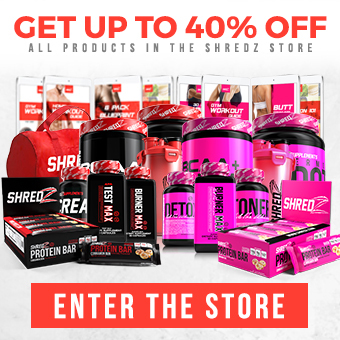 and here on the SHREDZ blog. 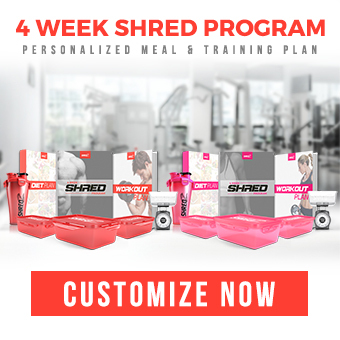 We talked to the dietitians, physiologists, and bodybuildlers at SHREDZ HQ and compiled their best ideas, tips, and thoughts on meal prep. Here it is, our expert list of 33 hacks for meal prep success! Plan, plan, plan. Planning is the foundation for successful meal prep. Look up new and existing recipes in beloved cookbooks and online. Create a list of the meals you want to make for the week. Make a grocery list of ingredients you need to buy. Hit the supermarket and stick to your list. Wash and chop up your produce; prepare recipes; measure out servings and distribute into containers. Store in the fridge or freezer. Meal prep allows you to take control of your health and manage your weight. Meal prep is your #1 tool to help you reach your fitness goals. Being prepared reduces temptation to give into cravings. Eating out less saves money over time. Planning your meals empowers you to keep up with a healthy lifestyle all around, including adequate sleep and exercise. Prioritize! Make time for meal prep as you would for traveling, showering, exercising, watching TV, etc. Be accountable. Tell your family, friends, and co-workers you are following an eating plan. Get help if you need it. The more you practice the better you get. You got this! For those times when you really just aren't feeling it, have a meal substitute on the ready and get right back on point for the next meal. Hungry between meals? Portion out 1/2 to 1-ounce servings of mixed raw, unsalted nuts, or keep a shaker with a scoop of protein powder on hand and ready for a quick shake. No more rummaging through your cupboards in search of matching containers and lids. Buy a high-quality set of food containers that stack inside one another and store lids all in one place. Pre-prep by cutting up and portioning out foods as far in advance as possible (save those that spoil quickly for the night before). Some produce you can wash and cut up in advance and grab during the week (lettuce, celery, broccoli, carrots, kale, melon, pineapple) and others should wait until just before eating (avocados, peppers, berries, apples, tomatoes, green beans). Keep it neat and tidy and no fuss: Use a pressure cooker, slow cooker, or rice cooker for big batches of ingredients. When you have the time, prep extra meals and freeze them for when you need a quick grab 'n go. Roast or grill big batches of veggies like onions, peppers, asparagus, and eggplant, and keep in the fridge to add to salads and wraps and use as side dishes. Stock up on pre-cooked frozen favorites like grilled chicken, turkey burgers, and veggies. Pop them in the nuker the night before and portion off into your containers. Bonus -- quick cleanup! Stock up on frozen veggies and single-ingredient canned goods (example: corn, beans) when they're on sale. Don't be scared by "no frills" brands of whole foods like grains, beans, nuts, seeds, and frozen produce. They still need to meet high quality standards and they're typically just as good as the more pricey brand name options. Use smartphone apps that scour your area to find the ingredients you need at the best prices. Look for the "quick clearance" area of the produce section for veggies you're planning to cook the same day. The veggies are fine, just a little older (obviously avoid those that are spoiled) and cost next to nothing. Grow what you can at home, from a basil plant in the window to a fully stocked outdoor veggie garden. If you're being strict with your macros, analyze the recipe using a free online tool such as nutritiondata.self.com or an app like MyFitnessPal. Be careful with your measuring: it makes a difference if you weigh foods cooked vs raw, and a fluid ounce (volume) isn't the same as an ounce of weight. Weight is more accurate than volume. Read nutrition labels so you know exactly what you are putting into your body. Be careful with portion size and "servings per package." Don't go it alone! Seek advice and get ideas from a nutrition professional or those who have done successful meal prep.